About her: She is a dancer and has produced, organized and participated in various dance projects in Lebanon. She is currently completing an MA in Anthropology (American University of Beirut), with an emphasis in kinship. She also works as a writer, editor, and translator. About her: is a Lebanese dancer and performer. She has practiced various kinds of dance and somatics, and has worked with many choreographers from Lebanon and abroad. A freelancer and part of BCI – Beirut Contact Improvisation, she is also a pilates instructor, which has added a different dimension to her dance carrier. About him: He is an Actor, Capoeirista, Personal Trainer, and a competitor in Brazilian Jiu Jitsu. About her: Lebanese dance artist and pedagogue. Co-founder of Yaraqa dance initiative and The Beirut CI sessions. Her CI practice and teaching is informed by contemporary dance techniques, physical theatre and Somatic practice principles. She approaches and proposes CI as a resourceful practice of self embodiment. About him: David is an entrepreneur and a mover. He has an eclectic background in rock climbing, modern dance, parkour, juggling, and much more. Professionally, he’s founded and led multiple tech startups, and has worked as a CEO, consultant, fundraiser, event director, and mentor; for startups, not-for-profits, and Fortune 500 companies. David has a deep love of movement and exploring the limits of human potential. About him: He is a choreographer and dancer. Malek graduated with a BA in Archaeology from the Lebanese University in 2001 and was the founder of Marhabtain Organization for preserving Lebanese heritage and culture. He taught dance since 1996 and in addition to his dancing in several prominent shows in Lebanon, he was the choreographer of a number of dance performances for theater and television. Malek is an official CID (UNESCO/ Paris) member and is representing Lebanon in national and international festivals since 1999. About her: She from a background of computer graphics and dance. She has been training in classical ballet and contemporary dance at Alice Massabki Dance Institute and participated in various workshops in contact improvisation, folklore, theater, yoga, and pilates. She has performed in folklore dance theater performance “Woman Below The Line” with choreographer Malek Andary & contemporary dance performance "Sideways Rain" with Company Alias. Her multidisciplinary background has also inspired her to devise concepts to make dance more accessible to people, co-founding Yaraqa Dance Initiative. About him: Contemporary dancer and chef. He is also a chef in his self-owned catering business "Lunchbox." He believes daily meals don't need to be boring and can be homemade with a twist. Lunch Box visits a different cuisine everyday, delivering global spices to your office or home. A choice of traditional Lebanese food, like mouloukhiyeh, moghrabiyeh, fattouch and co., are also available. About her: Raya is a multitalented design specialist with a degree in fashion design and pattern making from ESMOD and extensive experience in various fields of design from Paris, London and Beirut. She joined the team to bring to life the wardrobe of the performers of "While we weave". About him: Fadi joined the IESAV film school at Saint Joseph University in Beirut and enrolled in the audiovisual program. His passion goes mainly towards cinema and fiction, which led him to shoot more than 12 short movies that won awards at several film festivals. He also collaborated on over 6 Independent feature films as the first AC. Aside from working in narrative, Fadi has shot many commercials, music videos, and TV shows. He soon developed a passion for stop motion animation, and is currently working on his first animated short movie as of 2014. About her: I am a dancer, which has practiced a wide range dance styles at an earlier stage, with an emphasis in Theater dance & Polynesian movement throughout a dance internship program in Barcelona-Spain; and has finally landed in the contemporary dance scene. I am a big supporter of group efforts in general and dance initiatives in specific. I am currently the marketing executive at Brainstorm, an F&B creative agency serving an elite chain of restaurants in Beirut, with distinct concepts and elevated food offerings. About her: Yara is a dance, theatre and circus artist based in Beirut. She graduated with a degree in Audio-Visuals and Cinema from ALBA University, next traveling to the CAU Theatre and Circus School in Granada, Spain where she studied dance, circus, and theatre. Last year she founded Amalgam Studio in Hamra, a new space which aims to bring together movers, dancers and performers. Since the last three years she has been conducting workshops for children and adults, fusing circus, theatre, and dance as forms of expression and liberation. 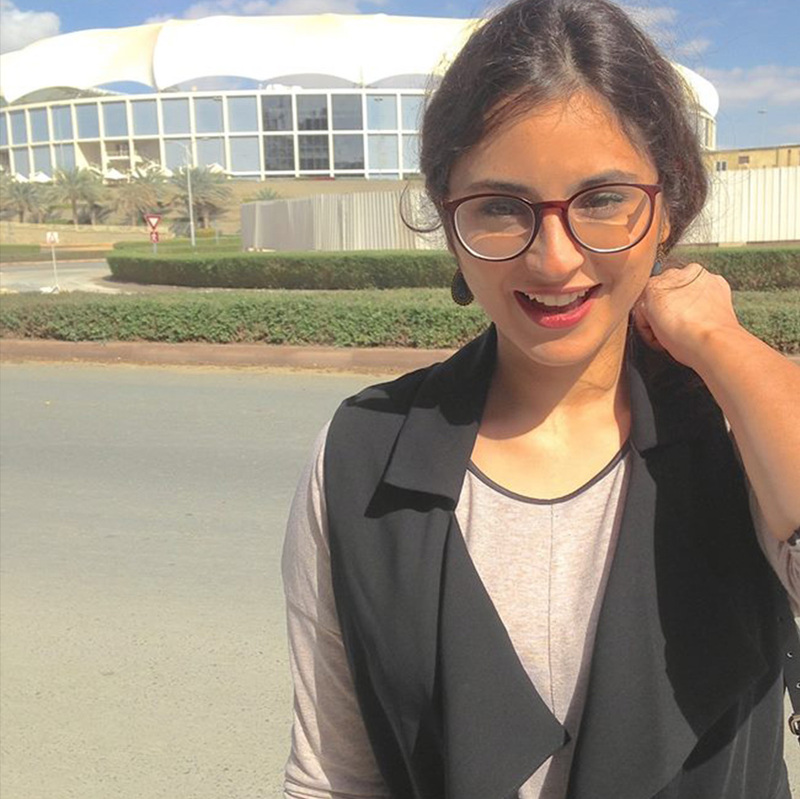 About her: Hanane is a Lebanese based illustrator and graphic designer. She first ventured off as a graphic designer before pursuing her love for illustration and image creation. Hanane’s work draws on her fondness for folklore and cultures, and her love for tactical mixed with digital. Hanane aspires to create emotionally impactful imagery that leave her audience with a certain feeling or message, and that leaves her younger audience with food for thought and inspiration. About his: He juggles with frames and colors, making stills living in motion behind that viewfinder. About her: She is a freelance movie director, actor, and writer. She graduated from Saint Joseph University (USJ) in 2014 with a degree in Audio-Visual Studies. She recently moved to Paris to pursue a Master’s degree in scriptwriting and filmmaking from Paris 8. Her work tends to portray different behaviors and lifestyles of Lebanese society. She directed award winning short documentary, “Someone Different” (2010) and also wrote and directed “Do You Know Kfarses” (2014), a 23-minute fiction film about Lebanon and its citizens. Ghina also enjoys dance. About her: Maya started her music career at the age of 15 as a drummer of several bands. After finishing her bachelor in animation, she studied film scoring for a year in France (Music Academy International) and continued her musical career as film composer and live performer. About her: Rima is a dancer and an artist photographer member of the wedding photojournalist association WPJA and Fearless photographers. About: Only a few silk factories have been recently renovated and reintegrated into the contemporary landscape such as The Silk Museum in Bsous. The Silk Museum evokes images of scented spice routes, the famous ‘Silk Road’ and the ancient exchanges of silk between the Land of the Cedar and the East and the West. Amongst beautiful olive groves and gardens, The Silk Museum become an important reference of ecological, cultural and economic history. About: He is a commercial photographer and owner of a photography studio; he believes a beautiful photo is one that captures the human emotion and conveys a message.